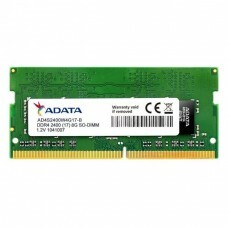 Extra Fast and Ultra Efficient ADATA DDR4 modules for notebooks realize new generation advantages in highly reliable and cost-effective products. 8GB DDR4 brings higher performance thanks to faster frequencies compared to DDR3, going up to 2400MHz. It does this while operating at a low 1.2V, which is 20% less than DDR3 in terms of energy consumption.